Earlier this month, Mullah Fazlullah leader of the terrorist group Tehrik-e-Taliban Pakistan (TTP) was killed in a drone strike in Afghanistan’s Kunar province. Prior to joining a religious seminary, Fazlullah worked as a chairlift employee at Fizza Ghat on the banks of the Swat River. He became popularly known as ‘Mullah FM radio’ when his speeches against women’s education and music got him a huge support base through his illegal FM radio station in Swat. Why Fazlullah’s radio transmissions were allowed by the Pakistani authorities to run unchecked for so long despite its bold and objectionable content is still unknown. From the years 2006 to 2007 supporters of Fazlullah including some armed volunteers were raiding music shops and brazenly barring women from marketplaces across the city of Mingora in Swat. Observing an escalation in the group’s illegal activities, Pakistan’s security forces carried out a massive operation in May 2009 that secured the expulsion of the Taliban from Swat. 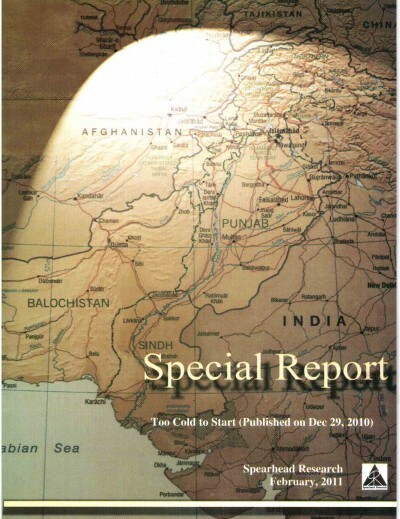 Mullah Fazlullah subsequently took refuge across the Pak border in neighboring Afghanistan. Fazlullah became head of the TTP after previous chief Hakimullah Mehsud was killed in a drone strike in November 2013. The TTP under Fazlullah took ownership of the December 2014 attack on a school in Peshawar, killing 150 people including school children, and the targeting of Nobel laureate Malala Yousafzai in October 2012. What made Fazlullah of particular interest to the Pak army however was the TTP-led killing of Major-General Sanaullah Niazi in September 2013. According to reports the new TTP chief, Mufti Noor Wali alias Abu Mansoor Asim is also from the Waziristan-based Mehsud tribe. At this point Taliban belonging to the Mehsud tribe in Waziristan are confident they deserve to lead the Tehrik-e-Taliban Pakistan – a group that has emerged also from the Waziristan region along the Afghan border – because the Mehsud have historically had the greatest stakes in the TTP, with respect to their investment in terms of human resources in the group. Previously, TTP’s founder Baitullah Mehsud and later chief Hakimullah Mehsud were from the Mehsud tribe. Mufti Noor Wali joined the Mehsud Taliban in 2003. He fought against Pakistani security forces at a time when Pervez Musharraf deployed regular Pakistani troops inside Waziristan. Notably, he headed the operation against Pakistani troops at Tayar Manza in March 2004. Other than managing TTP operations in the city of Karachi, Wali is also responsible for the TTP publication department and has authored a book on “The Mehsud Revolution”. The appointment of a non-Mehsud could have endangered the TTP, which is already struggling to keep peace amid exacerbating internal conflicts and clashes. 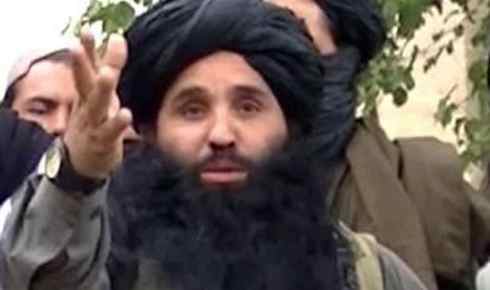 After Mullah Fazlullah – a non-Mehsud leader – came to power, Mehsud Taliban leader Sajna according to reports felt excluded. Meanwhile, TTP leader Shehryar Mehsud had left the party. Reportedly, Maulvi Faqir Muhammad from Bajaur announced his own separate group. Chief of the TTP Mohmand under Hakimullah Mehsud, Abdul Wali, alias Umar Khalid Khorasani, created another group called Jamat ul Ahrar (JuA). Additionally, the former TTP spokesman Shahidullah Shahid confirmed allegiance to the Islamic State group. If it was not the killing of Fazlullah and the subsequent picking of a successor, the recent efforts to bridge differences between Pakistan, Afghanistan and the US are certain to pose new challenges to the TTP leadership. Recent developments have signaled that whether owing to changing regional dynamics or pressure from major powers such as China and the US, Afghanistan and Pakistan have made efforts to close the distance, perhaps realizing now more than ever that regional peace, which is conducive to both countries’ interests, can only come with meaningful cooperation. Lately, a willingness to end the “blame game” between Afghanistan and Pakistan is obvious from both sides. A high-powered Afghan security delegation led by National Security Advisor Muhammad Hanif Atmar held meetings in Islamabad this month. Both sides discussed ways of enhancing trade, business, people-to-people contacts, and even intelligence cooperation. Moreover, in an unprecedented move, the director-general of the Pakistan military’s media wing, Major-General Asif Ghafoor congratulated the Afghan cricket squad on June 7 for its victory against Bangladesh in a Tweet in Pashto—one of two official languages in Afghanistan. On June 12 again Ghafoor took to Twitter to say, “Pakistan wishes to see National Unity Government and US/NATO succeeding to bring peace in Afghanistan”, this time writing in both English and Pashto. Such efforts by Pakistan’s military’s media wing are significant considering they came from the Inter-Services Public Relations’ (ISPR) chief himself. Pakistan’s Chief of Army Staff General Qamar Javed Bajwa’s June 12 visit to Kabul was also important. A major point of discussion during the visit was figuring out ways to build trust between the two neighbors. A June 3 news conference by a military spokesperson also covered the same subject. The decision to end the blame game between Pakistan and Afghanistan was actually reached during the April 6 meeting in Kabul between Ghani and Pakistan’s then-Prime Minister Shahid Khaqan Abbasi under the Afghanistan-Pakistan Action Plan for Peace and Solidarity (APAPPS). The APAPPS now includes seven key principles: “undertaking action against irreconcilable and fugitive elements on both sides; denying territories to anti-state groups or individuals (on either side); creating a joint supervision, coordination, and confirmation mechanism through Liaison Officers (LOs) for the realization of the agreed actions; avoiding land and air violations of each other’s territory; and avoiding the public blame game by using the cooperation mechanisms to respond to mutual contentions and concerns”. Since the escalation in the number of meetings between Afghanistan and Pakistan and the agreement on the APAPPS, there have been a number of attacks led by the Islamic State of Khorasan Province (ISKP) and the Afghan Taliban. Interestingly, Afghan officials have this time refrained from pointing any fingers. Taliban’s announcement of a unilateral ceasefire following President Ghani’s June 7 decision to announce a ceasefire is also an important development in the Afghan conflict. The timing of Ghani’s decision is also perhaps significant; it came only days after a high-level security delegation led by Afghanistan’s National Security Advisor Muhammad Hanif Atmar visited Islamabad and reportedly met with several Pakistani officials. Meanwhile, with regards to the US, talks between US Vice President Mike Pence and Pakistan’s caretaker Prime Minister Nasirul Mulk also took place via telephone this month. This exchange was followed by another call between US Secretary of State Mike Pompeo and Bajwa, where the two “discussed the need for political reconciliation in Afghanistan.” Since Pompeo’s appointment as secretary of state in March 2018, this was the first time Pompeo initiated contact with Bajwa. Several observers have labeled these talks as an indication of a willingness to put an end to the ongoing deadlock between Pakistan and the US, and perhaps mend relations. China too of late made its security concerns with regard to the situation in Afghanistan obvious. If the situation in Afghanistan is to worsen an instable Afghanistan will likely strengthen the Eastern Turkestan Islamic Movement (ETIM), which is believed to be working with the ISKP. China has weighed in on the situation; it organized the December 2017 meeting between Afghan and Pakistani foreign ministers to aid greater bilateral dialogue on security. Its neutral position in the conflict since post-9/11 Afghanistan allows China to approach the situation from a unique standpoint. China’s hands-on-approach along with US involvement can open up new avenues for better cooperation between Afghanistan and Pakistan. Also with the new TTP leader in place, such developments may help bring the Taliban to the table to discuss peaceful methods of negotiation with the Afghan government.